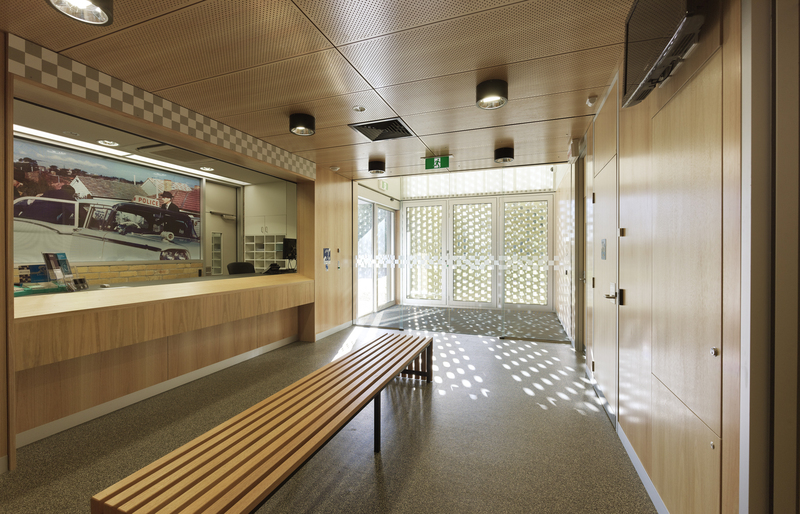 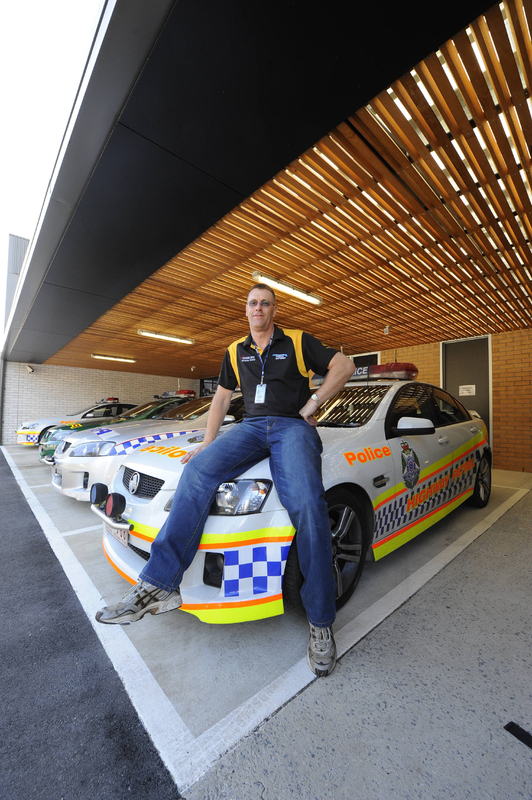 The Carrum Downs Police Station is the third and largest in a series we have completed for the Victoria Police. As the next link in a civic network of modest buildings for this organisation it continues our earlier interest in the localization of a generic brief and the opportunity that a conventional project might present for a degree of innovation. The facility accommodates 70 people from the Uniform Branch, Traffic Management Unit and Field Services Division and was required to be organised as a series of discrete zones – each with its own identity, set of functions, security, amenity and relationship to outside. 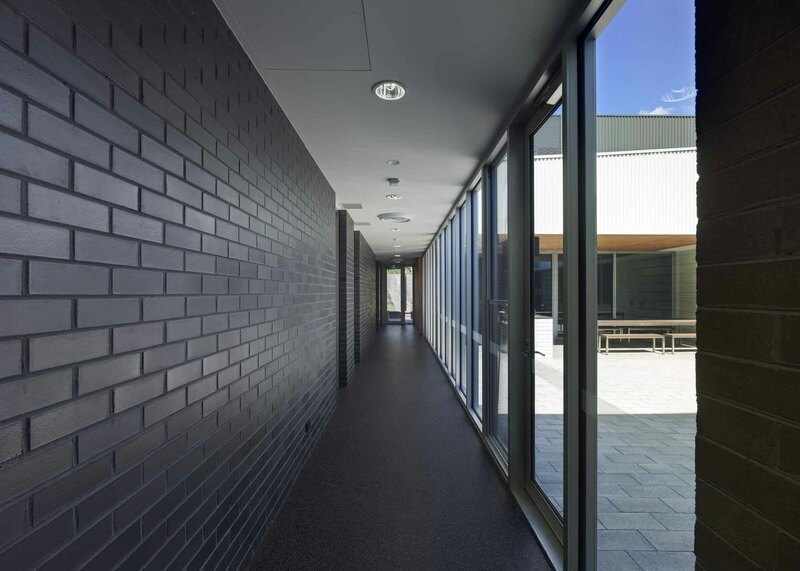 More effective separation of different user groups at the entry was also required to balance between an inviting public interface and secure areas for operations. 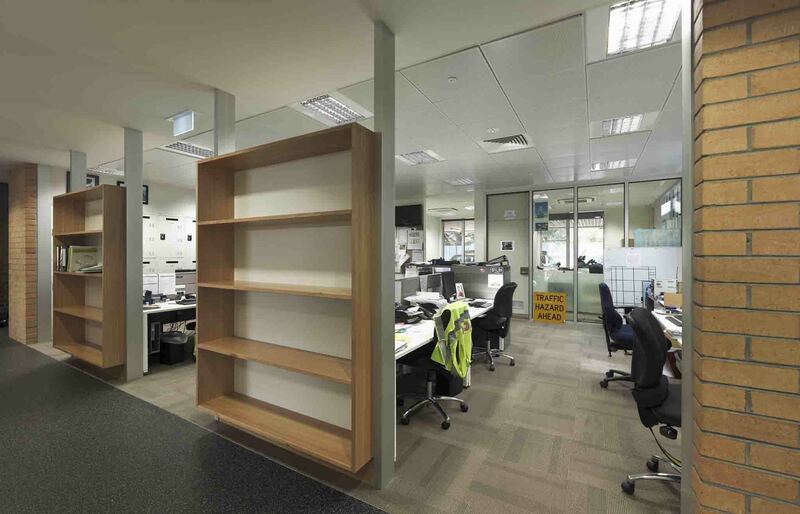 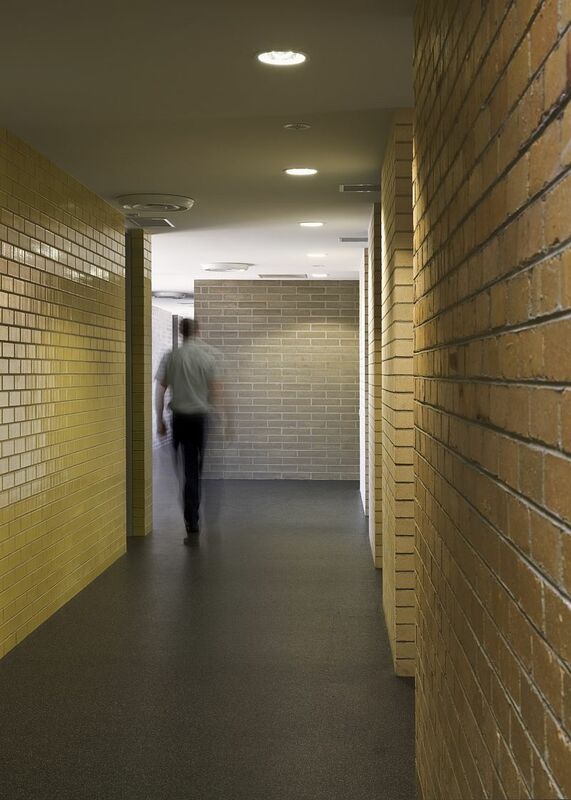 Parallel to these functional requirements was the imperative to reflect, through the architecture, the preferred and changing organizational culture of the Victoria Police and a move from a highly cellular to more open plan workplace. 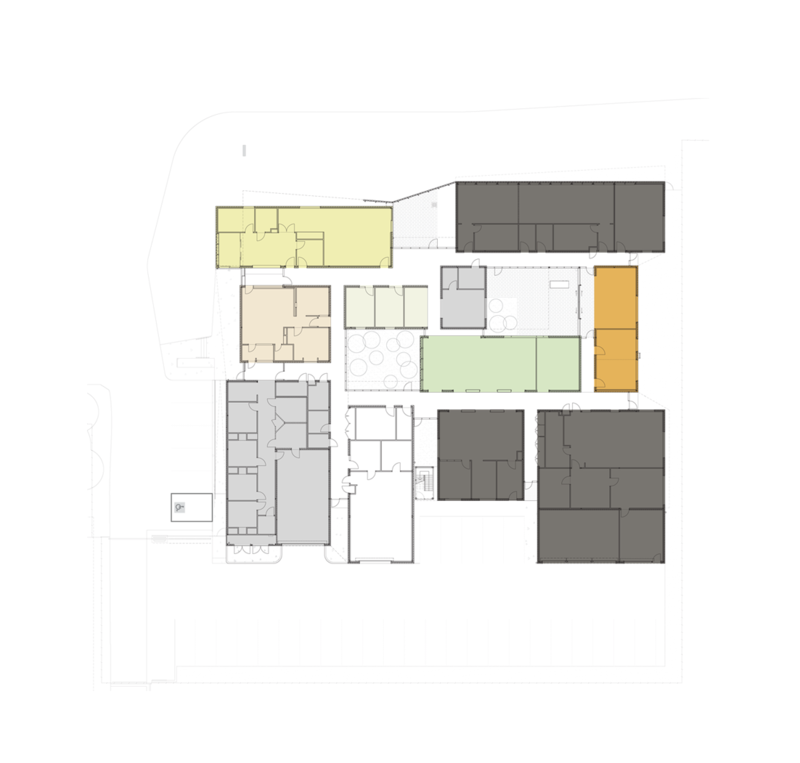 So with this change in mind we sought to rethink the typology of the 24-hour station especially in plan and consider it as a community rather than an institution. 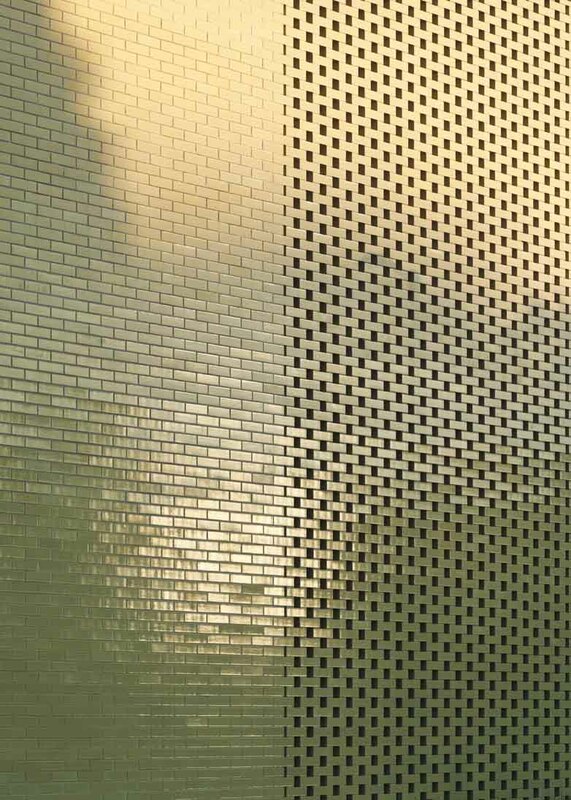 In place of the usual long central corridor with cubicles either side we imagined this station as a mini city: a cluster of programmatic elements each figured as an individual volume, treated materially as a building and distinguished through a particular choice of brick. 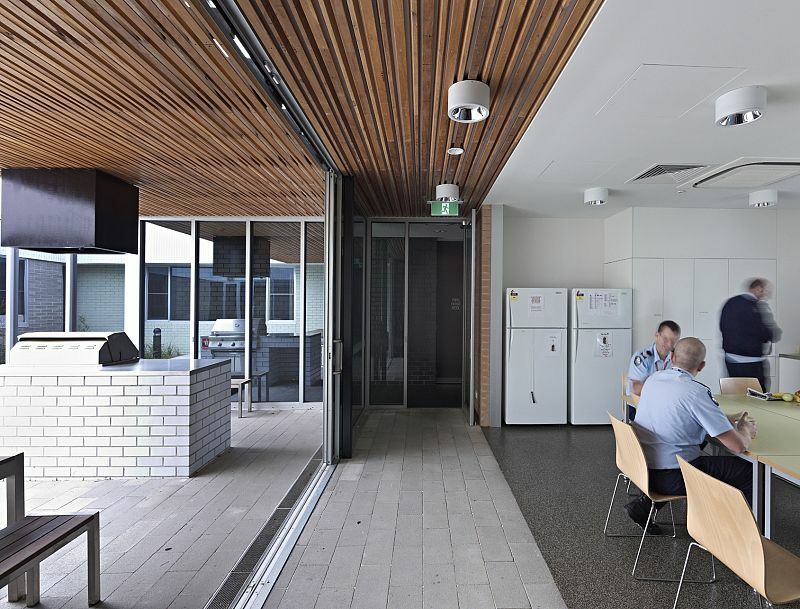 As a collection of elements they are united by the roof and the generous circulation spaces that at times overlap with and extend the adjacent program to form break out areas for informal exchange and overlaps between the organizational divisions. 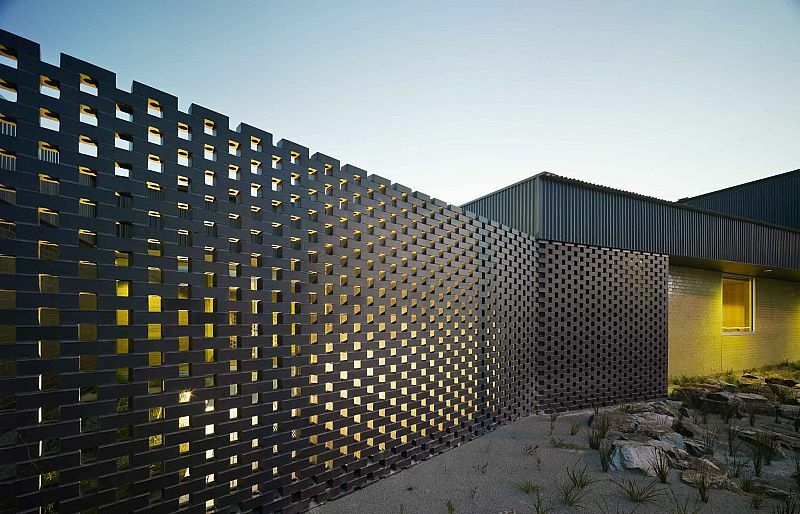 The inclusion of internal courtyards allows light, ventilation and aspect to interior spaces while maintaining privacy and security to the external street facades. 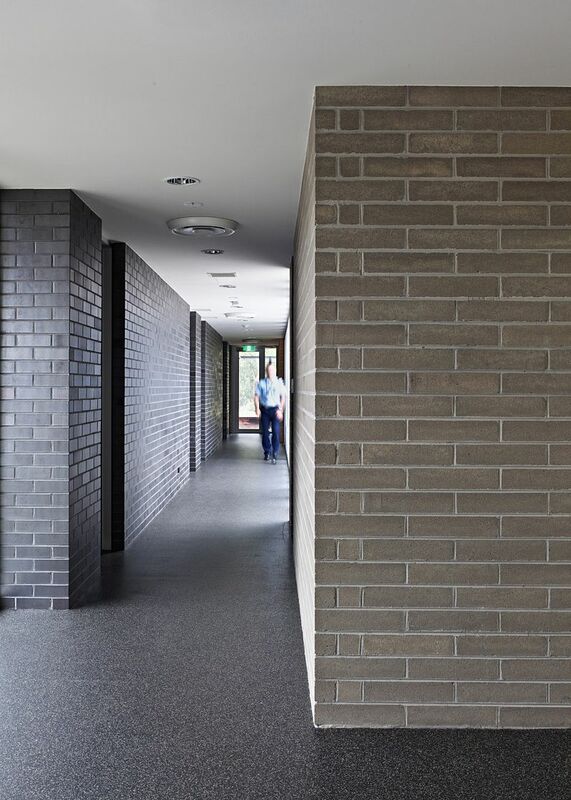 Internally the variation of the colour and texture of the brick expresses each of these zones as a discrete volume (as a mini building) and provides a means of orientation and identity. 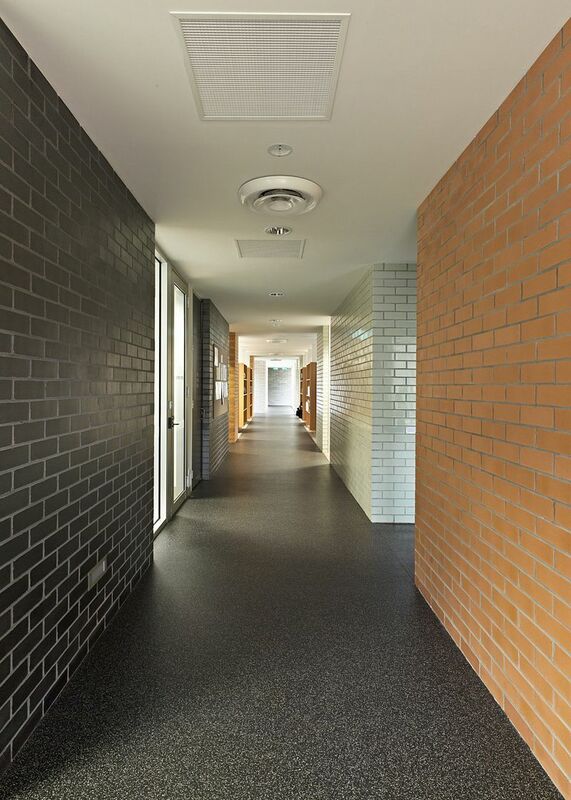 Externally the brick face presents as domestic and references the adjacent suburban condition. 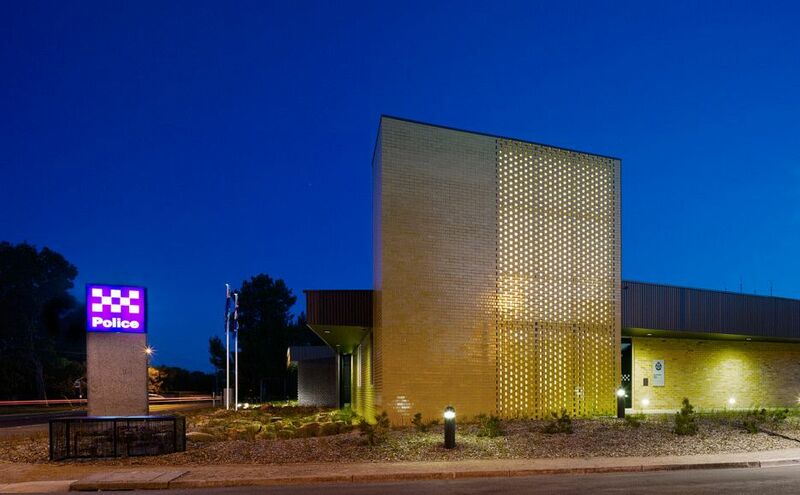 While the station is predominantly low in form the entry tower shifts the scale of the facility from domestic to civic, and as an illuminated beacon at night, heralds the presence of the Victoria Police on the highway.